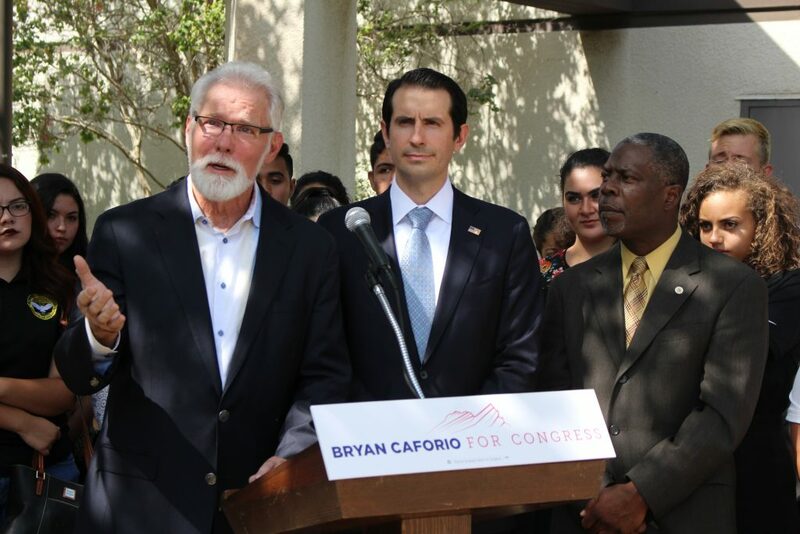 Lancaster, Calif. – Today, Rex Parris, the Republican Mayor of Lancaster, California, endorsed Bryan Caforio for Congress in California’s 25th Congressional District. The announcement comes on the heels of over twenty local elected officials and appointees throughout the district publicly endorsing Caforio earlier this week. Rex Parris, a Lancaster native, was first elected to the non-partisan position of Mayor in April 2008 and has been re-elected three times, including in April 2016, where he received 67 percent of the vote. Lancaster is the second largest city in the 25th Congressional District and has a population of more than 160,000.